This book goes pretty well with the "Year of the Dog" and "Year of the Rat" books, as it's all about culture. If you liked those, you might like this too. 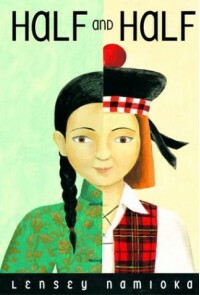 If the book has one problem, it's that it's too short and we don't get to see a lot of the struggles of being half-Chinese and half-Scottish, but that's not a huge complaint. It's a small, pleasant book with few surprises but some interesting tidbits about culture.